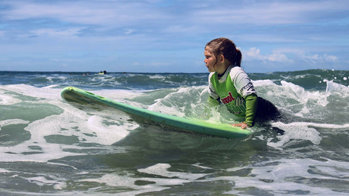 Surfing Life Club offers a wide variety of programs and lessons for all ages and for different levels of surfing! Here you will find group or individual classes, classes Erasmus students, birthday parties, bachelor parties, company / team building events, special education, among other possibilities, always with all the included material, board, wetsuit and insurance. We have our headquarters in Praia de Matosinhos but we also cover other beaches for surfing near Porto, such as the beaches of Leça, Aterro, Espinho, Cortegaça and Maceda, always in search of the best waves! Surfing Life Club wants to be the ideal partner in the organization of your events. Special programs to "get away" from the business routine. Regular classes, every day of the week, all year round. Includes wetsuit, surf board, bodyboard and fins. He is 24 years old, a natural athlete from Costa da Caparica and one of the most talented surfers in Portugal. 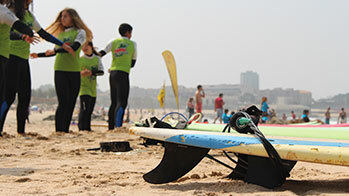 At Surfing Life Club it is possible to learn according to the expectations and needs of each student. Customized classes to evolve quickly. Celebrate your birthday in a different way, with a unique experience, where you will live unforgettable moments with your friends/guests. 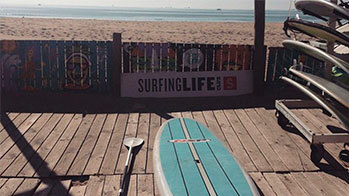 Surfing Life Club is the first North Stand Up Paddle (SUP) school. A great sport for those looking for cardiovascular work. 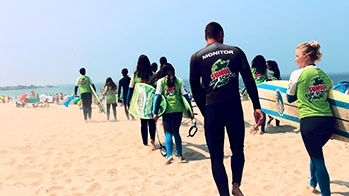 This program aims to educate and sensitize young people to the notions of prevention within the ocean and Surf. 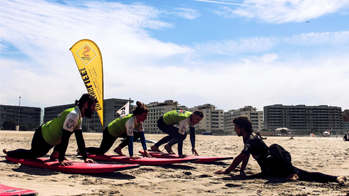 A set of exercises aimed at surfers, where the main objective is physical fitness. 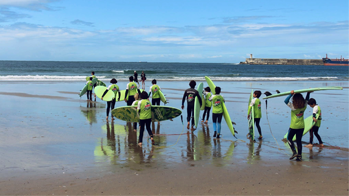 Special Surf for Special Surfers... Surf lessons to autistic or mentally handicapped children and young people. Offer a fun and unique experience to those you love! 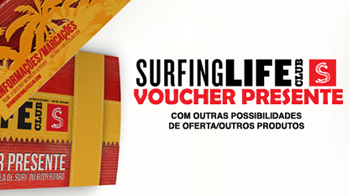 Surprise your family and friends with gift vouchers from Surfing Life Club. 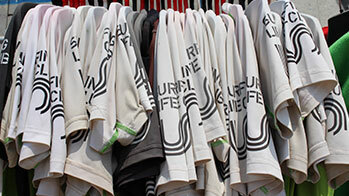 Being a member of Surfing Life Club is simple and still gets a FREE T-shirt! Get to know our advantages today!